Throughout my blog posts I’ve shared websites off and on (like so many other bloggers) and linked up with techy linkies. I was thinking that this summer, since I don’t have things like iPads and don’t need apps for my kiddos, I’d share just websites (mostly free!) that I’ve loved to use throughout the last few years. And hopefully some of you like them too. And then I also thought it’d be fun to get ideas from other people as well. 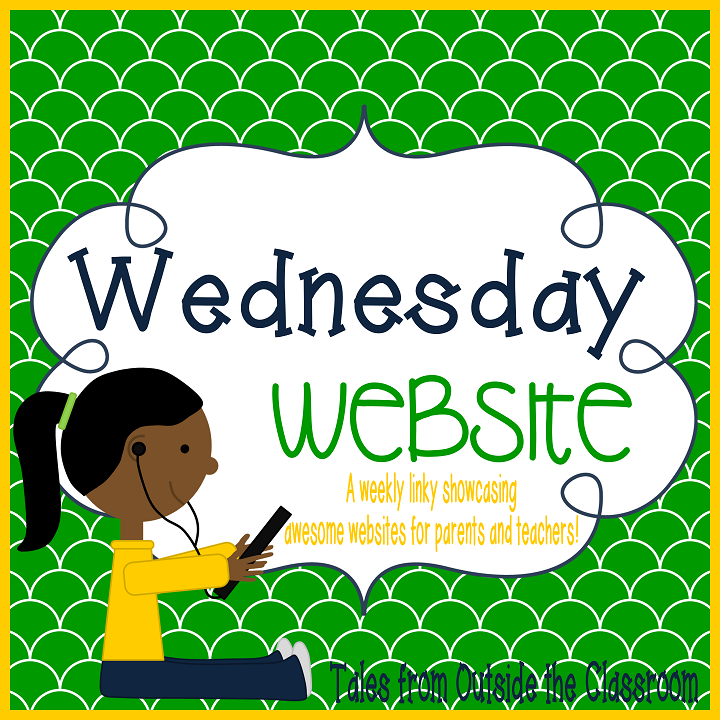 So, enter Wednesday Website: a weekly linky showcasing websites that you can hopefully use. Thanks to Ashley for the adorable girl clip art! Professor Garfield is a site I started using a LONG time ago! And it’s FREE! It’s changed so much over the last few years and they’ve expanded the games and materials that are available for kids. There’s still many things I haven’t figured out with the new site but here are a few of my favorite features! If you click on the “Read!” beaker you come to this screen. There are also links on the bottom that you can click (they’re cut off in the picture) but I find those difficult for the kiddos to do on their own. Orson’s Farm is the section of the site where kiddos practice different phonemic awareness skills. Match of Mystery is the section of the website where kids can practice different phonics skills- basically vowel sounds. Reading Ring is great to engage boys! It’s set up like a boxing ring. Then a comic strip comes out. The kids read the strip, put it in order to sequence it, and then answer a few comprehension questions. All of the comic strips feature, guess who? Garfield! There are SO many other areas of this site. This would be the world’s longest post if I shared them all. They’ve also recently starting adding a section with math as well. Click on any of the pictures to go check out this great site! All of these links below are also other great websites from some other fantastic bloggers. Click the pictures below to check them out. Ohhh… what a fun website. Thank you for sharing it and it's one of the better ones because it's FREE – what teacher doesn't like free? 🙂 Will be bookmarking it and adding it to my "website list for kiddos" now! There's really so much to it! It's great! Thanks for sharing! I linked up to share some website that I really like. Great idea for a weekly linky party! I appreciate hearing about great websites. I plan to revise my classroom website this summer. Another good one that we use is abcya.com. Do you mind if I share it next week? I hadn't decided what I was going to use yet! Great idea for a weekly linky! There are so many fabulous websites out there! 🙂 This will be a great resource for me! Tessa, you're awesome. What a brilliant idea. Thanks for sharing. This is an excellent idea Tessa! Thank you for hosting this linky! Great Idea for a link up! I just found your site so I'm looking forward to seeing all the sites that get shared for this linky. Thanks a bunch for this idea of people sharing the best out of all the many websites out there. What a great service for time-strapped teachers!